Thanks to I See Me for providing me with product in exchange for my review. All thoughts are my own. This post may contain affiliate links. Love is in the air! After the post-holiday blues and dreariness of winter, it's so nice to have a special day to celebrate in February. 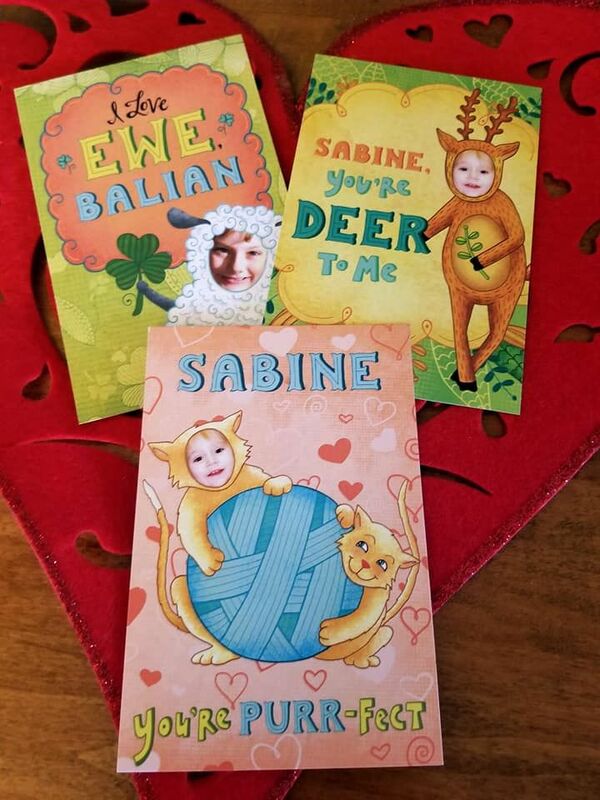 I was never really a big fan of Valentine's Day until I became a mom. I strive to show my kids how much I love them each and every day, but certainly, enjoy being able to kick it up a notch in February. Both of my kids are avid readers and spend more time reading/looking at books than they do watching TV or playing with their toys. We (try) to steer away from candy as special treats for the kids around holidays. Instead, hubby and I enjoy giving the kids special gifts from our hearts... you know, gifts that will become keepsakes down the road. 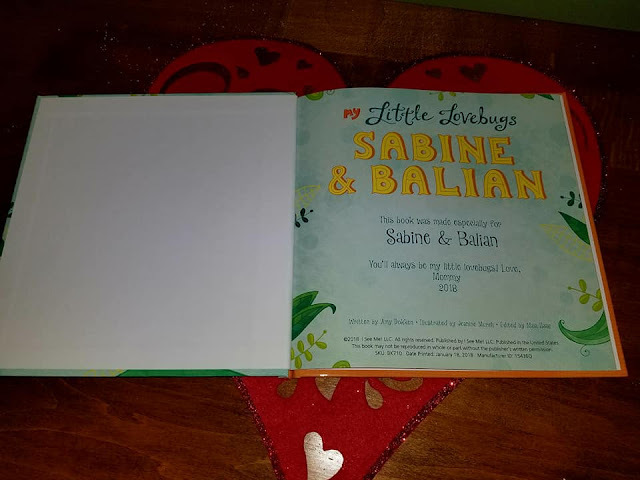 I've been giving both kids personalized books for special occasions since their birth(s). It's a fun, special and creative way to show my love for them. I See Me makes it easier than ever to gift personalized books for all of life's milestones and special occasions. 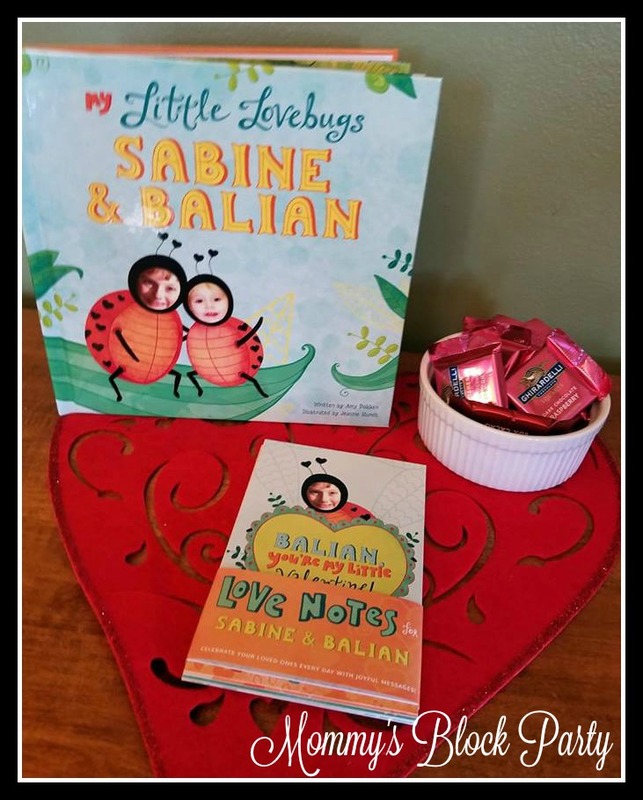 We're on the cusp of Valentine's Day, and I See Me has just introduced an adorable little Lovebug book and Love Notes gift bundle! What better gift is there than an adorable personalized Valentine's Day book? This precious book stars your very own little lovebugs! 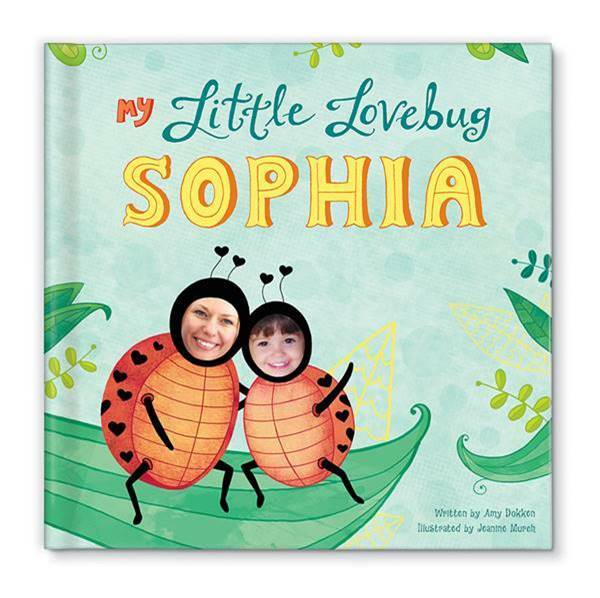 My Little Lovebug is a photo-personalized storybook featuring your loved ones’ photos and names and launches on January 18th. The book can be personalized for up to two people, and sent from up to two people. Every illustration displays a cute and cheeky saying, with illustrated text by hand-lettering artist and illustrator Jeanine Murch. Tell a special someone how much you love them with a book full of joyful messages that is not your typical ‘I Love You’ card! You might think that personalizing a book means that you'll have to do a lot of thinking and coming up with cute sayings or silly stories. I've been blessed to work with I See Me many times, and each and every time I've personalized a book with them, it has been easy as pie. I See Me makes the personalization and ordering process so simple for their customers. Simply head over to I See Me and select your book of choice. 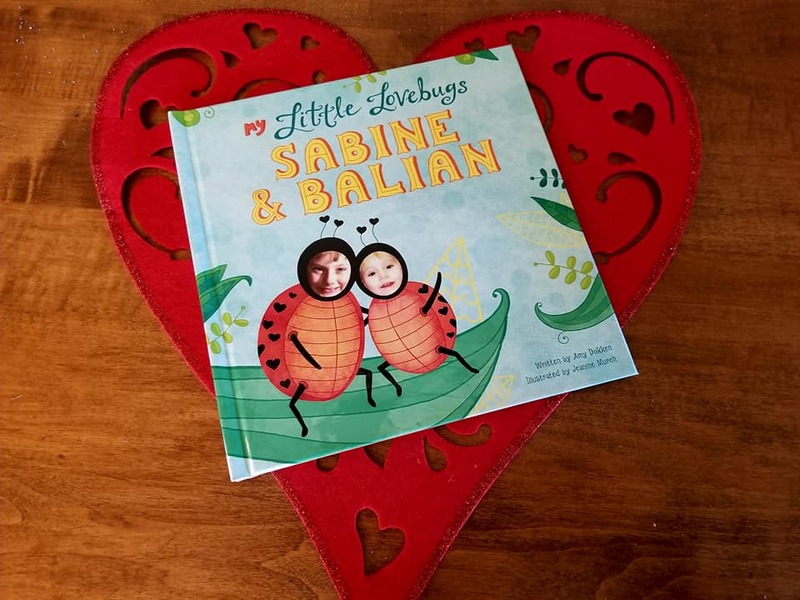 There are lots of wonderful titles to choose from, but My Little Lovebugs is my top choice for a personalized book for Valentine's Day. Just click the PERSONALIZE NOW button on the screen, and you'll be given options to choose hardcover vs. softcover. Next, enter the name(s) of the recipients and upload photos. From there, enter the sender's information with a special dedication. You can write your own or choose a pre-written dedication from the drop-down menu. Select any additional add-ons (additional fees apply), and then preview your book from cover to cover! Our book turned out beautifully! I was so happy with the way our book turned out. Both of my kiddos are featured in the book, along with me (their goofy mom). The kids love flipping the brightly colored pages of this sweet book and seeing our faces in place of the animals' faces! It's so silly! Have you ever seen a more adorable little lamb? 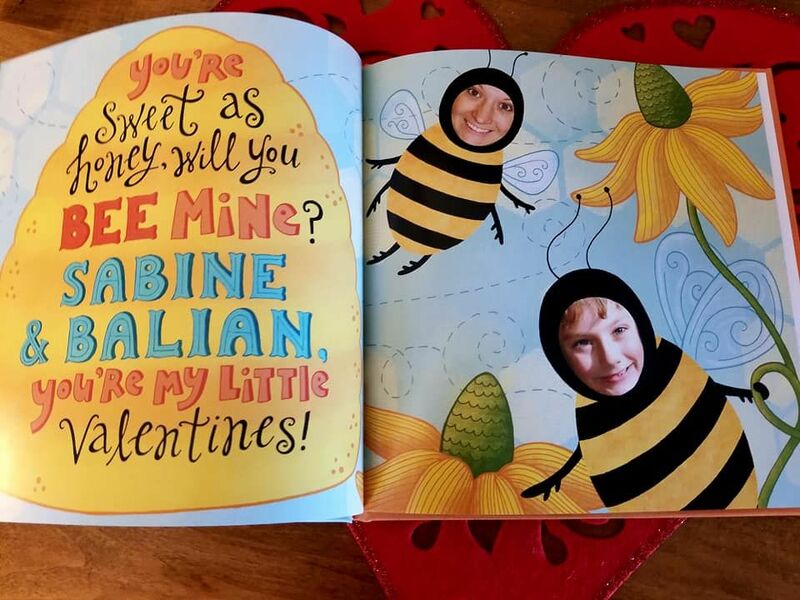 My son B was buzzing with joy when he saw his picture in this adorable book! This book is such a special gift and keepsake. We're already enjoying reading it together before bedtime each night. The kids love to laugh when they see their silly mommy's face on funny illustrated animal bodies. They also love seeing themselves on the book's pages. Pair the book with these adorable personalized note cards for a sweet gift bundle! The book can also be bundled with fourteen personalized love notes, perfect for sending joyful messages to loved ones. 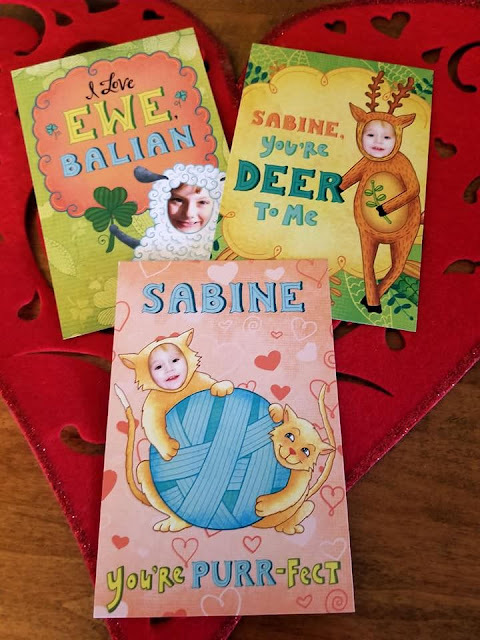 These fourteen cards can be personalized with your loved one’s name and photo, and are small and portable—perfect as a surprise gift in a lunch box or backpack. 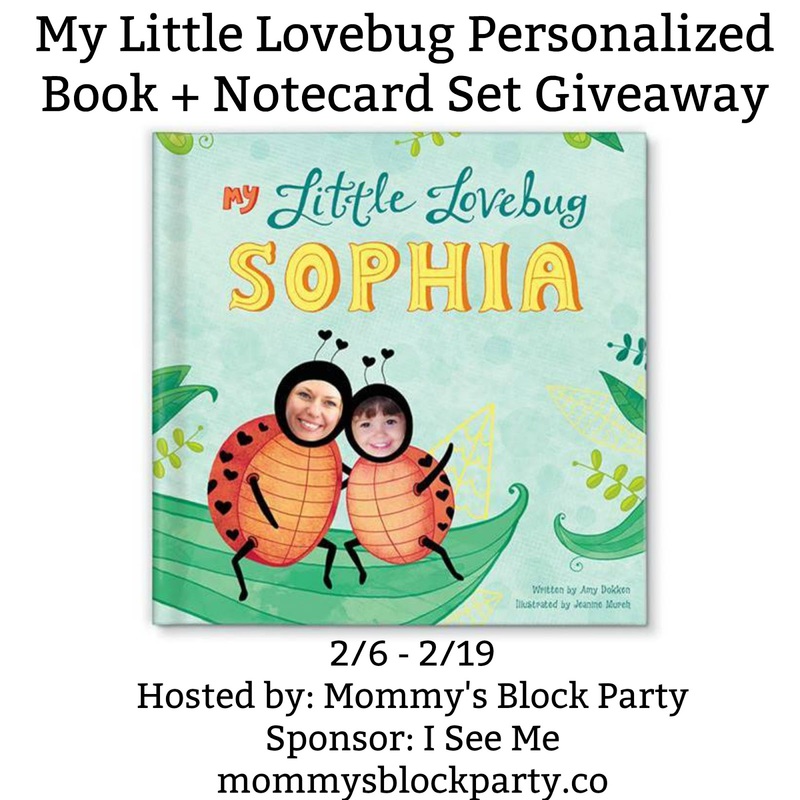 Each card features a beautiful illustration from the storybook My Little Lovebug on one side, and a blank side so you can write your own personal message. The love notes are so cute! I am enjoying placing the notecards in B's lunchbox or hiding them in special places around the house. He's already told me that he loves receiving the love notes and wants to save them all in a special notebook forever. 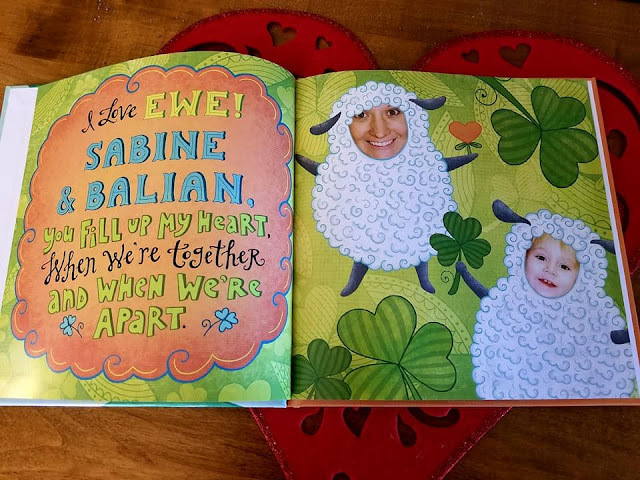 You can personalize a special book or gift for Valentine's Day, too! Just head on over to I See Me and select your gift! One lucky reader will win their own My Little Lovebug Personalized Book + Love Notes Bundle! Just use the RC entry form below to enter to win. See our full disclosure for contest rules. Special thanks to our friends at I See Me for sponsoring this giveaway. Look for this title in our Valentine's Day Gift Guide! I would love to give this to my daughter. I call her my little love bug. I would also like the My Snuggle Bunny book. I would love to give this to my own little Lovebug! I entered the pie maker giveaway. I would gift this to my great granddaughter. I'd love to give to my granddaughter who was recently in a bad car wreck.